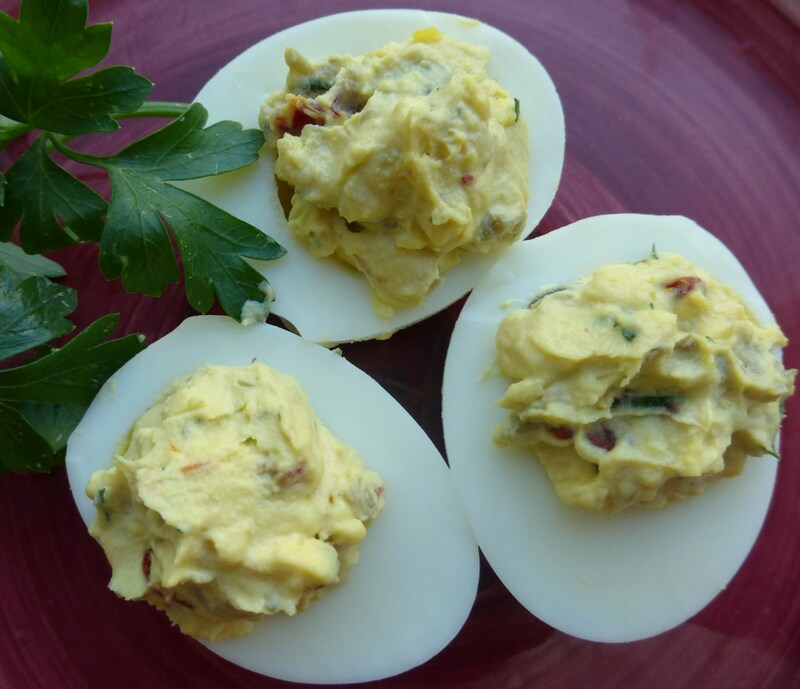 I love deviled eggs, and I have to give credit to my friend and coworker, Deena, who came up with this recipe to serve at an event we did for work. She’s a wonderful chef and has had a private catering business for many years, and she’s so much fun to work with because some days all we do is talk food! I figured with the holiday season upon us I’d post this recipe as it’s really different from any other deviled egg recipe I’ve ever had. Cut eggs in half lengthwise. Place yolks into a bowl and mash with a fork. Mix in mayonnaise, capers, sun-dried tomatoes, and chili oil. Salt and pepper to taste. Mix in parsley. Pipe or spoon egg mixture into egg halves, mounding slightly. Drizzle with a thick balsamic vinegar and serve.